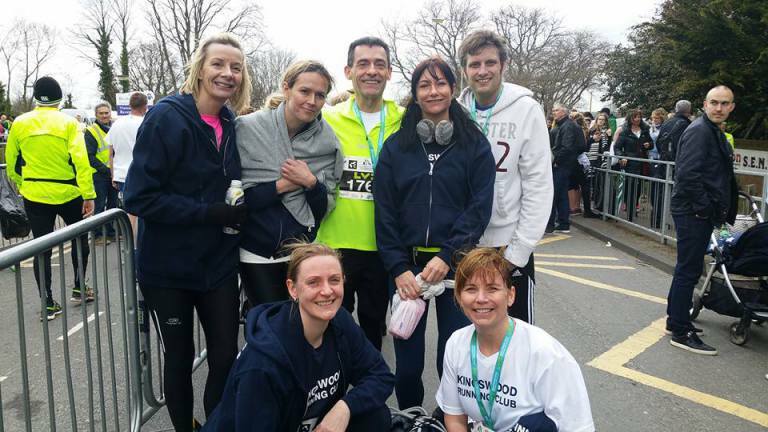 On Sunday 19th March 2017 8 of us runners and clients completed the Brentwood Half Marathon, so some of us it was one of many times, some the first, there was one of us doing it as part of their London Marathon Training. But all of that does not matter, its is the personal experiences and journeys that we all took. One client, she has completed this race once before, stating NEVER again and here we were again, ‘I just want to improve my time,’ ‘I don’t want to do it, ‘ ‘I can’t do it,’ She is one of my clients with so much give, so much ability, but not so much self belief. Half way round she changed her goal (this is not a good idea). Don’t change the goal, run the plan, if you do better that is a bonus. She knocked 4 mins off her time amazing, NOT happy, I wanted more – 4 MINS OFF – I’m over the moon, months of training (I could sometimes scream). She did realise how well see had done, and signed up for a 10 miler that evening, to keep going ?